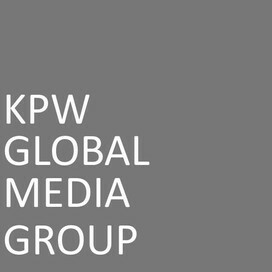 KPW Media Group is a full service Digital Marketing Agency specializing in developing results-driven ideas that translate into increases in brand equity, profitability, sales, brand recognition and awareness. We pride ourselves in delivering these results and creating impact-driven and engaging communications. Miami Art Scene™ announces the highly anticipated world premiere play Unlikely Heroes by Charles Gluck, starring & directed by Avi Hoffman. Opens January 28, 2016 and runs through February 21, 2016 at the Mizner Park Cultural Arts Center in Boca Raton. Taking viewers on a riveting emotional roller-coaster ride with a dysfunctional family – is there any other kind? The spotlight shines on the play’s star actor Avi Hoffman, best known for his award winning one man shows Too Jewish?, Too Jewish, Too! and Still Jewish After All These Years. Hoffman won Performer of the Year ’95 – NY Press Magazine; L.A. OVATION award – Best Actor In a Musical 2001; NY Drama Desk and Outer Critics Circle award nominations, with both of his shows broadcast nationally on PBS. He was featured as Sid Raskin in the Starz TV series Magic City, Netflix’s Bloodline, A&E’s The Glades and on the NBC series Law and Order. His voice is featured as Manolo on HBO’s Magnifica ’70, also starred in the motion picture The Imported Bridegroom and was seen in the PBS documentary They Came For Good: A History of the Jews in the US. Hoffman has performed all over the world and has received multiple awards and nominations. The play is a rare production as the entire cast consists of an all-star group of actors including Margot Moreland, Michael H. Small, Patti Gardner, Kim Ostrenko, and Robert Johnston. “Never before have the best of the best actors in South Florida ever been assembled into the same cast. This will be a once-in-a-lifetime production”, said Gluck. 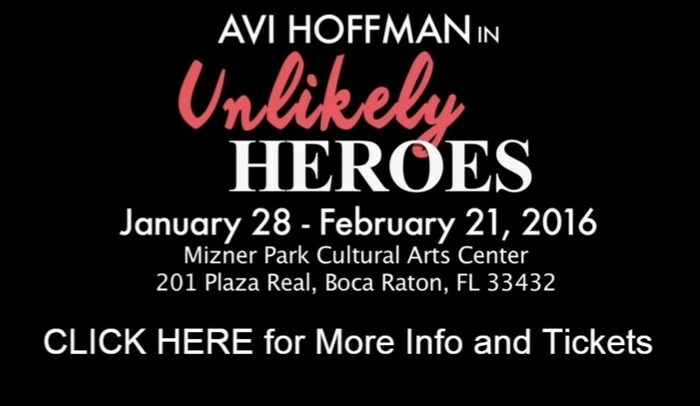 World Premiere Play Unlikely Heroes Starring Avi Hoffman - How fragile are the bonds that hold our families together? What defines heroism? Sometimes strength is a weakness and weakness a strength. Playing January 28 through February 21, 2016 at Mizner Park Cultural Arts Center, 201 Plaza Real (opposite Lord & Taylor) in Boca Raton, Florida 33432.
www.UnlikelyHeroesPlay.com / Call (561)406-8007 for more info.